The Knotted Gun is a bronze sculpture of a giant Colt Python .357 Magnum revolver with a knotted barrel that points to the sky. 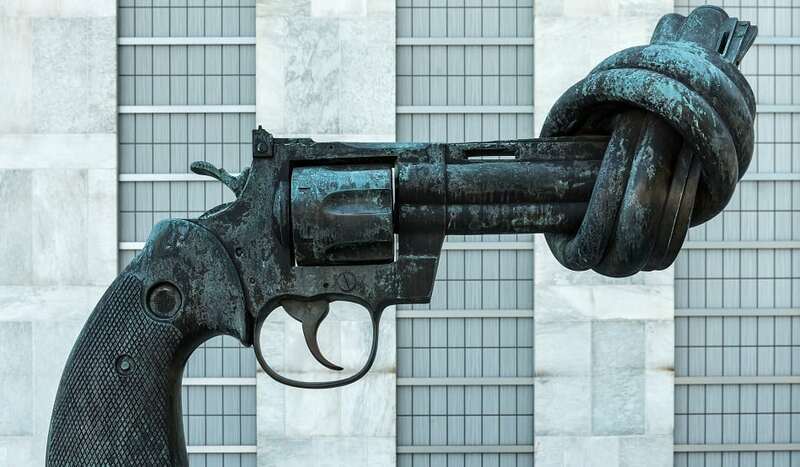 Swedish sculptor Fredrik Reutersward created it after the death of John Lennon. It is outside of the U.N. as a pro-peace symbol for world leaders.